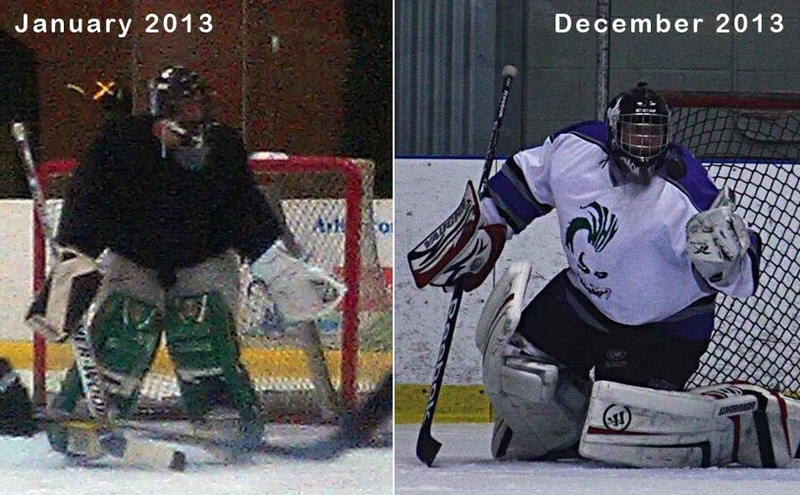 It has been a year since I began my journey back to hockey and goaltending and I can honestly say its been the most thrilling, rewarding and frustrating ride of my life. Before I go on, I need to make a point to thank my wonderful girl, Amy. Nobody has ever been more supportive and tolerant of any endeavor of mine. She's put up with the financial hurdles, listened to my endless tales of despair and helped raise me back up time and time again. Thank you darlin' for all you do. With a year under my belt, the timing of this entry couldn't be a better bookmark in my return to the ice after 25 years. This past weekend, I wrapped up my first tournament with a championship in a 30-and-over round robin at one of my local rinks. I wriggled my way onto "Team Canada" and we went undefeated against 3 other teams through the round robin and medal round to take the gold. It was an amazing experience because of the mix of skills and talent on the teams. At times I felt the warm, comforting glow of having top-notch defense in front of me and offensive players who could find the opposing net and build leads. For every beginner goalie playing on bad beer-league teams, playing for a skilled team sometimes feels far away but trust me, when it happens it's like being wrapped up in a blanket of hockey awesomeness. Winning the championship was even more satisfying because our last opponent chose to add several high-level players (ringers) to the roster for the final game. One of these players managed 5 of the 6 goals in regulation and also scored in the shootout. I'm still puzzled how the tournament organizers allowed the roster additions for the final game but I'm learning this isn't as uncommon as it might sound. 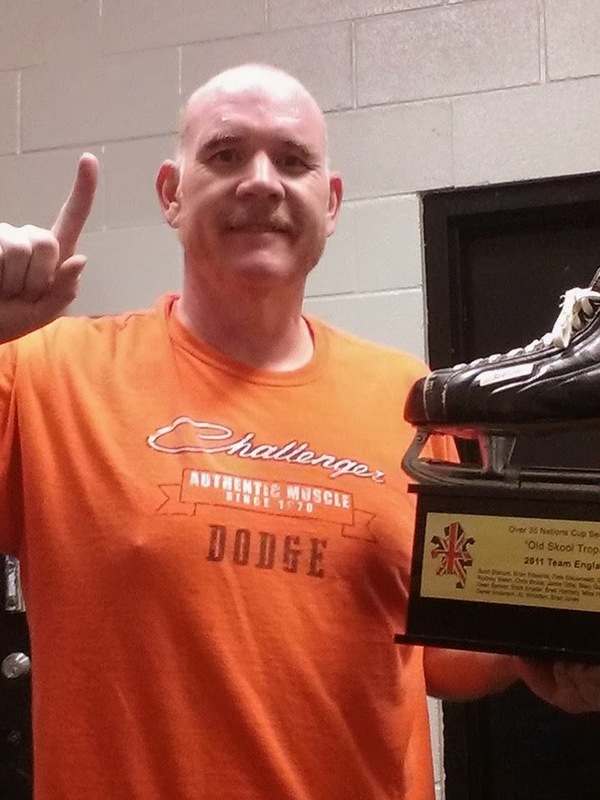 So on Saturday night I held a hockey trophy in my hands for the first time in roughly three decades and tried to put into perspective my year-long journey that began with a bag full of ancient goalie gear and a body more suited to beer pong than hockey. 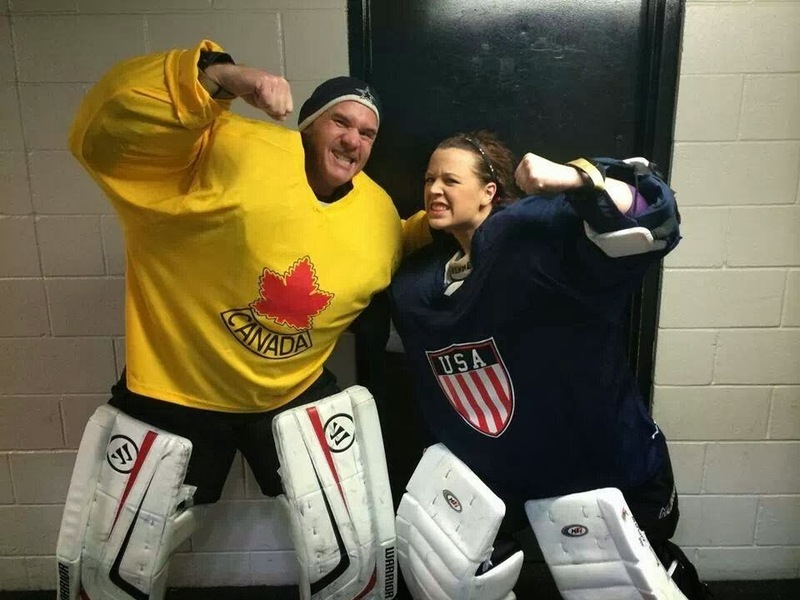 I've put in a lot of work on the ice, changed my lifestyle and dropped over 50 pounds and re-learned the basics of playing one of the most challenging position in sports. It's been a fantastic year that includes introducing my best friend to the game and playing on teams together and maybe a chance that my Amy could one day lace up the skates and join us. 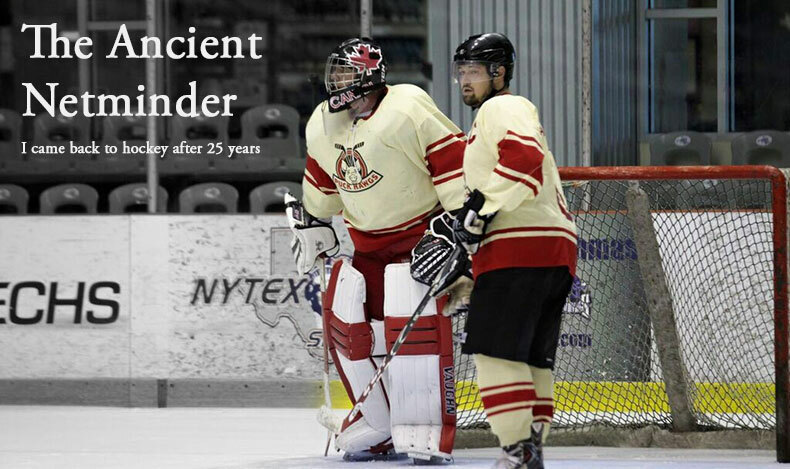 I still have so far to go in my journey with new goals ahead and the challenges every ancient netminder faces but I couldn't be more thrilled with what lies ahead.